The Ford Certified Pre-Owned program is a popular way of buying a high quality car at a lower price. Because the program comes with many benefits like 172-point inspections and 24-hour roadside assistance, it is desirable among customers. Each certified pre-owned vehicle in the program must first pass a 172-point inspection. Ford thoroughly inspects the vehicles to ensure quality, so you have reassurance the car isn't likely to break down three months after buying it. 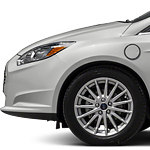 If there is a problem with your Ford, however, you have access to roadside assistance any hour of the day. Even if you only have a flat tire at 3:00 a.m., Ford's 24-hour roadside assistance will help you. All vehicles in the Ford Certified Pre-Owned program are of high quality and come with 24-hour roadside assistance for greater peace of mind. You can test drive a Ford Certified Pre-Owned vehicle at Malloy Ford in Winchester.